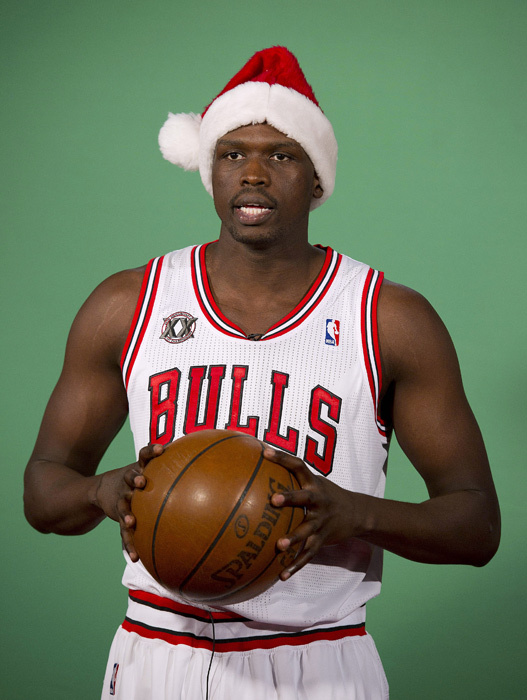 ...quite like this photo of former Duke Blue Devil Luol Deng looking not-so-pleased about being photographed wearing a Santa hat. You know lip reading is not easy and it's particularly tricky when applied to a photograph, but we are pretty sure Luol is saying, "Take the stupid damn picture and get me outta here before I go all Coach K on your dumb a**." Deng played one year at Duke and, like Corey Maggette, many thought he left school too early. 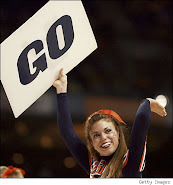 Evidently...we were wrong on both counts. Deng was drafted by the Chicago Bulls and has been there ever since. During his now nine year career he has played in 3,519 games, scored 9,035 points, averaging 16 points and 6.4 rebounds per game. Maggette has been in the Association since 1999 and he too has averaged 16 points a game during his 15 year NBA career. The two are part of a total of 18 Blue Devils currently playing in the NBA, one more than rival North Carolina.